So this is the first time I am actually sewing something with felt and I knew at once what I wanted to make. A felt needle case. Not the prettiest thing.. but at least I have a place to put all my needles. Cotton with interfacing and felt with bias tape for the outside. 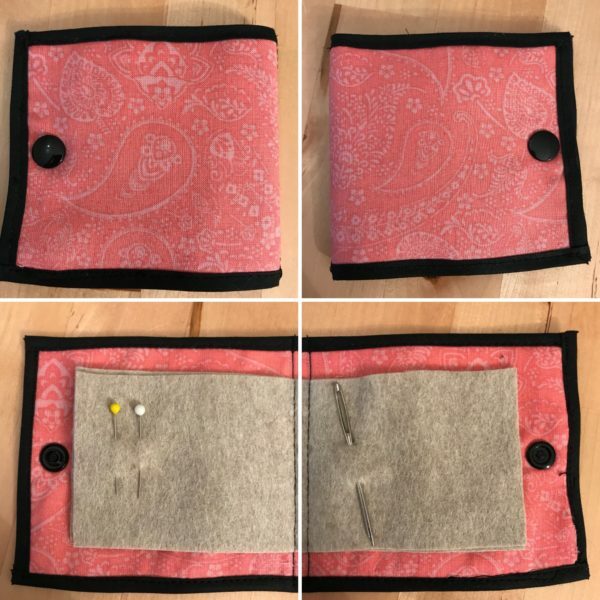 I added two pieces of felt inside. If I was to make it again I would probably make it a bit skinnier and a bit taller. Also new interfacing on both pieces of cotton instead of just the one.